Beautiful Young Business Woman in Black Sitting at a Table in a Cafe, She Works With the Tablet, Talking on the Phone and Making Notes in a Notebook. Then Drinks Coffee. hd00:16Beautiful Young Business Woman in Black Sitting at a Table in a Cafe, She Works With the Tablet, Talking on the Phone and Making Notes in a Notebook. hd00:13Close-up two architects collegially working on project drawing in office. Group of young designers is developing layout and construction of a business building in modern style. hd00:17Business Woman Checks Statements. She Drinks Tea and Checks the Message on the Phone. on the Table is a Tablet and a Notebook. hd00:25Mid Shot. 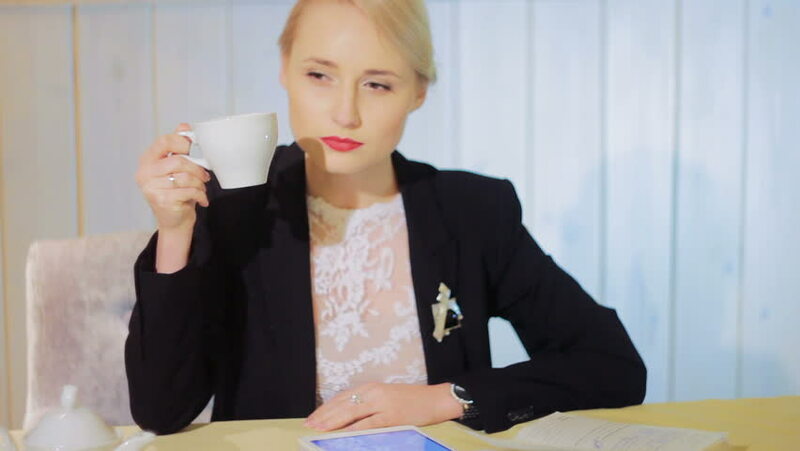 Beautiful Young Blonde Business Woman in Black Sitting at a Table in a Cafe. She Works With the Tablet and Making Notes in a Notebook. Then Drinks Coffee. hd00:07Beautiful Young Business Woman in Black Take the Smart Phone in a Cafe and Works With the Tablet. hd00:17Beautiful Young Business Woman in Black Sitting at a Table in a Cafe, She Drinks Coffee, Works With the Tablet, Talking on the Phone and Making Notes in a Notebook. Woman With Red Lips. hd00:11Beautiful Young Business Woman in Black Sitting at a Table in a Cafe, Then Looking at the Camera. Blonde Woman.